This publication began as an AHRC-funded doctoral thesis, ‘Links to Late Antiquity: Understanding Contacts on the Western Seaboard in the 5th to 7th Centuries’, completed at Newcastle University in 2016. 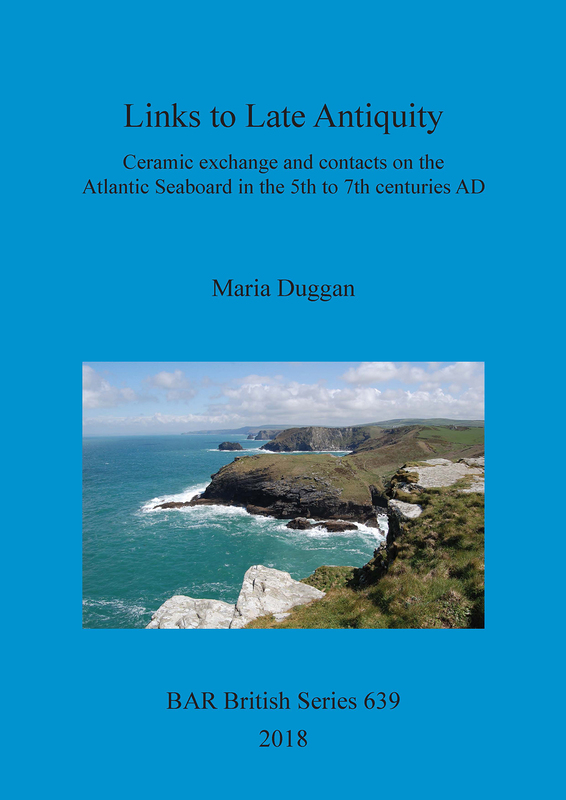 This revised version presents a broad-scale discussion of the evidence for contacts and connections in the Atlantic Seaboard region, based principally on ceramics. It extends knowledge of a category of material with a long history of scholarship in Britain and Ireland: amphorae and fineware vessels of East Mediterranean origin. The presence of this imported pottery at sites in western Britain, such as Tintagel in Cornwall, has frequently been used to suggest direct links between post-Roman Britain and the Byzantine World. This work offers an alternative position - that the wares reflect active and evolving networks of trans-shipment and exchange operating in the Atlantic Seaboard region between the fifth and seventh century. This first examination of parallel French, Spanish and Portuguese publications provides a fresh perspective on this important group of artefacts for understanding early medieval Britain. Maria Duggan obtained her PhD in Archaeology in 2016 at the School of History, Classics and Archaeology, Newcastle University. Since then she has taken up a British Academy Postdoctoral Fellowship at Newcastle, with a project entitled ‘Tintagel: Trans-European Connections in the Post-Roman World’. Focusing on this important site in Cornwall, this new project will extend research on the imported pottery found in Britain and advance understandings of connections between the Mediterranean and Atlantic during the 5th to 7th centuries.